COMMERCIAL TRUCK TIRE INSPECTIONS - WHAT'S INCLUDED? COMMERCIAL TRUCK TIRE INSPECTIONS – WHAT’S INCLUDED? 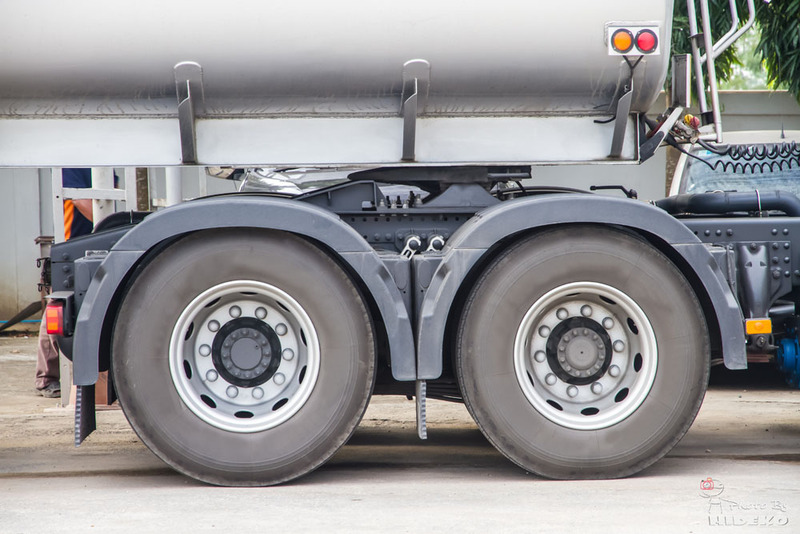 Whether you are heading in for an annual commercial truck inspection or have been selected for a safety inspection on the road, it’s important to be prepared by knowing what a commercial tire inspection includes. Regulations for inspections vary slightly by state, but all inspections will follow the same basic procedure that covers all parts of the truck, driver safety, and authorization. When it comes to the tires, the inspection is highly detailed. Make sure that you know what a commercial truck tire inspection includes so that you can include each element in your own pre-trip inspections. That way you can make sure you never end up facing fines or time off the road. It’s a good idea to familiarize yourself with the regulations of all the states you drive through, but the following summary will provide you with a general outline of what vehicle inspectors will look at. An inspector is going to check your truck tire’s labels to make sure that there are no violated restrictions on their usage. Truck tires with labels such as “not for highway use” or “farm use only” will earn you a citation. This means you need to be careful about using temporary spares and making sure to change them for the appropriate tires as soon as possible. In addition, inspectors will check that the weight you’re carrying doesn’t exceed the tires’ load limit. One of the major things a truck inspector will do is check all of your tires for wear. Any tire that has less than 4/32 inch of tread may be considered a violation. Inspectors will also look for any areas of localized wear where the tire’s cord, ply, or belt is showing through the tread. Tire Leaks, Cuts, Bulges, etc. Commercial truck inspectors will look for any visible cuts, cracks, bulges, knots, and bumps. A cut that exposes any belt or ply material is particularly problematic. They’ll be looking for signs of tread or sidewall separation, and they’ll be listening for tire leaks. In addition, inspectors will look for signs that you have repaired a blowout or cut without replacing the tire. In order to pass a commercial truck inspection, your truck’s tires must be properly mounted and inflated to the right pressure. Make sure that you have tires of the same size on the same axle and that your tires do not touch any part of the truck or extend past the fender. If you go in for a periodic inspection or are subjected to a roadside inspection, hopefully you will pass without any violations. If the inspector does find defects, however, the result will vary depending on how serious the defects are. If there are serious defects, your vehicle will be placed out-of-service. You will then need to complete repairs before returning to the ride. In the case of less serious defects, you will be given a grace period to correct them. You’ll need to have the problems repaired and submit a report to the relevant state’s Department of Transportation. Depending on the defect and the state regulations, you may also be issued a traffic citation and/or have to pay a penalty. In order to avoid these negative outcomes, make sure to stay informed of all commercial truck inspection regulations and keep your truck and tires in proper condition. Commercial vehicle inspections, even if they are time-consuming, are essential for keeping commercial trucks, their drivers, and the roads safe.